At fanSlave you get amazing Facebook Marketing at very reasonable prices and therefore many new fans / likes for your fan page. You only pay if your campaign is successful and users like your page. In your login area you can watch the number of mediated likes at any time. You can additionally, if desired, distribute the credits on several campaigns. Just try it out - for new customers we offer a free trial package. Facebook is currently the most used social network with more than 500 million users in the world (March 2011). Many large and small companies, organizations, associations and individuals are already represented successfully with a Facebook Fanpage. Note: The fans / likes can be selected by country, language, age and gender. You can specify the maximum number of likes per day and fan site, and also distribute the credits on several fan sites. 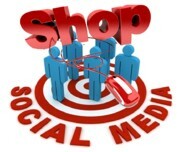 Generate attention for products, brands and services through interaction with customers. Encourage Users to distribute business content in their network to others. If those objectives are achieved, this results in "automatic" further advantages, for example, regarding the acquisition of new customers, increase brand awareness or increase sales. "Fans" can order a fanpage by clicking on "Like" on someone's page. After that, they will receive all your posted news on their personal page. They will share interesting information with their Facebook friends and those will share it with their friends, etc. - so your messages will be spread to many interested people and will lead them specifically to your websites or blogs with more information. Increase the distribution of your Facebook messages through a natural development of your fans. All fans in FanSlave network are real people who can pass your messages to their friends. Our fan Marketing prices are extremely cheap and calculated automatically. You always have an updated view on the billing. The like building of the FanSlave network is absolutely accurate and secure. You don't get 1000 fake accounts in one minute - but honest Facebook users, who are interested in your site. Our software offers many custom options for setting up the fan control. All users will be checked daily by our system on various safety factors and presence. You have full control over your budget, your marketing campaigns, your fans and your pages. You can easily pay for your campaigns based on your progress through PayPal ™, AlertPay, bank transfer and credit card or pay by your earned credits for liking other pages.